Established in 1999, 7° South Ltd. is recognized today as being at the forefront of tourism services with the fastest growth rate in the industry. 7°South handles clients originating from all the continents, be it from countries stretching from Europe, Asia, and Africa to North America. 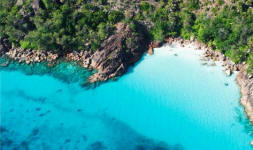 This is the result of a marketing strategy focusing on new market segments where Seychelles was not yet very well known as a holiday destination and of the development of new products such as golf, fly fishing, and tailored cruises and holiday programs in addition to the traditional excursions. 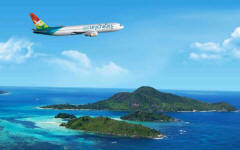 Seychelles lies in the Indian Ocean, 1600 kms off the east coast of Africa, between 4 and 10 ° south of the Equator. Amongst the many islands the inner isles are largely granitic and situated on the Seychelles Plateau, Mahe, Praslin and La Digue and their neighboring islands are the most frequented, offering the widest range of accommodation facilities, Fregate, Bird island and Denis, are a little more isolated and still fall under the inner islands group. 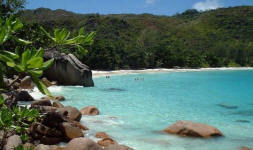 The Outer islands located beyond the Seychelles Plateau; consist of mainly low-lying sand cays and coral atolls. Within this group only Desroches Island offers accommodation at present. Desroches and Alphonse are renowned for fly-fishing. The islands enjoy a pleasant tropical climate year round. The temperature seldom drops below 24 degrees or rises above 33 degrees centigrade. Globally changing climate conditions, however, make it difficult to predict exact weather patterns. The Seychelles offer a wide selection of accommodation, ranging from bed & breakfast and guest houses to Grand Luxe resorts and exclusive private islands. At present, there is no international classification, but to help you to find your own little piece of paradise, we have classified these properties from 2* to 5*, creating two additional categories, called "Bed & breakfasts, guest houses, apartments and holiday rentals" and "Grand Luxe Hotels & Resorts"' for exceptional and unique properties. 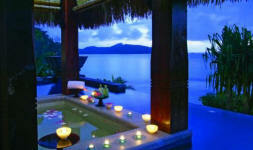 Hotels offer a variety of rooms from standard to beachfront villas and presidential suites/villas. Through our partner, 7 ° South Ltd., we are pleased to offer the best available rates and the most attractive current special offers and promotions, for almost all available accommodation in the Seychelles!